Your name is Talia and you are the woman warrior who come here to find out the truth, and get revenge. There are enemies on the way but they are nothing for you are the Best fighter in this generation, and you fears nothing. 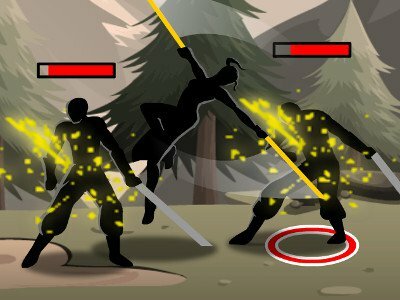 Shadow Arts is an fast action fight game with different fight skills and story line for you to choose. In here you can Change target by left or right arrow keys, Interact/Switch Ability by pressing space bar, and Q W E for using skills. You can play Shadow Arts free online sports games at fogames. It has tags: Action,Fighting. It has 3310 total plays and has been rated 83% (16 like and 5 dislike), find the fun and happy day. If you want to play more sports games, we find some of the game: Mike Shadow, Frontline Defense 2, Stealing The Diamond and Shadow Factory. To play other games, go to the action games page, the fighting games page, or just check out the new games or best games page. Play Shadow Arts online games, Fun and Happy.